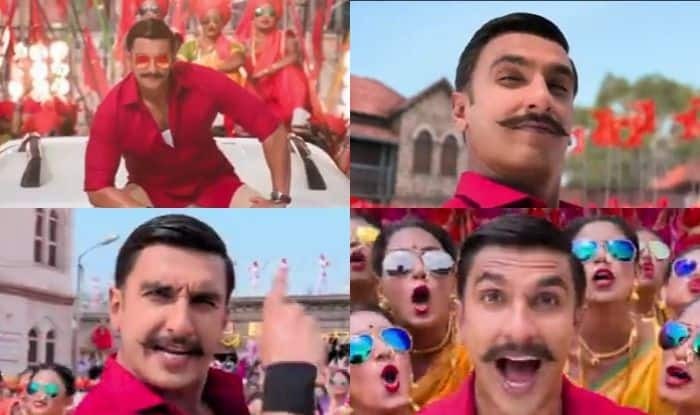 This is the third song from the movie and is on Ranveer's character Simmba. The release date for movie Simmba is inching closer, and as promotions go, a number of posters and songs have been released to entice the viewers. The latest is a song called Aala Re Aala, which features actor Ranveer Singh in a shocking pink shirt and beige trousers, dancing with a multitude of background dancers. The song has already got a huge number of views. The song, as mentioned by T-Series, was composed by Tanishk Bagchi and sung by playback singer Dev Negi and Goldi. Earlier, the song Aankh Maare, featuring Ranveer and Sara Ali Khan, was released, and it had garnered over 7.9 million views on YouTube in just 12 hours. Aankh Maare is a recreated version of a hit chartbuster from 1996 hit movie, Tere Mere Sapne, which was produced by Amitabh Bachchan and was the debut film of Arshad Warsi and Chandrachur Singh. Simmba, which will be released on December 28, has along with Ranveer and Sara, actors Sonu Sood, Siddharth Jadhav and Ashutosh Rana starring in it. The film will also have a cameo from Ajay Devgn and Golmaal cast.